This book had been sitting in my collection for a while - I knew as soon as I purchased it that it needed a new binding. 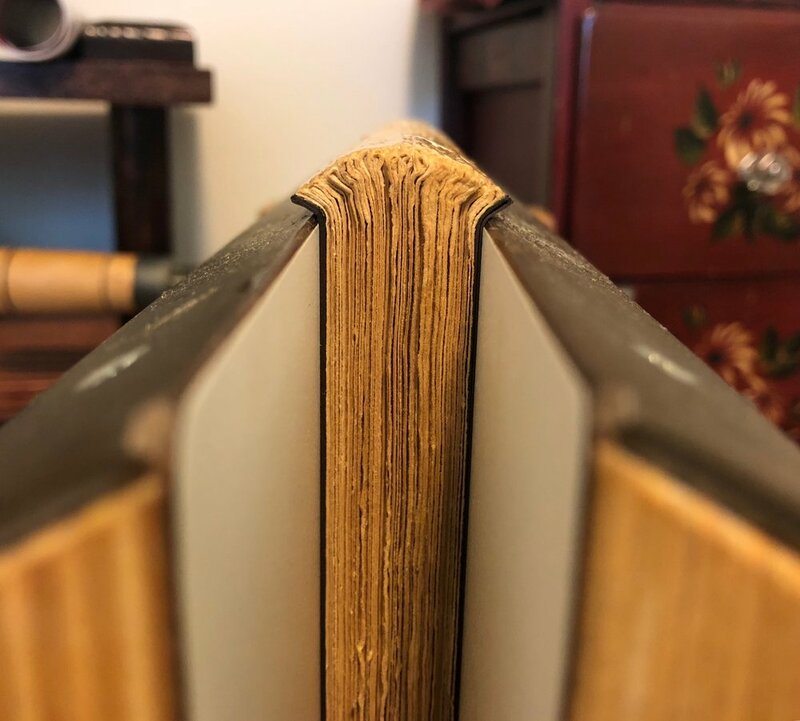 Printed privately sometime in the early 20th century for the Dilettanti Society, the pages are filled with beautiful letterpress-printed text and engravings, but the binding was falling apart and the cover was oddly cheap considering the quality of the interior. I documented the process below; please enjoy! P.S. See the process in action in the video at the bottom of the page. Relatively simple on this one, since they were all but falling off anyways! 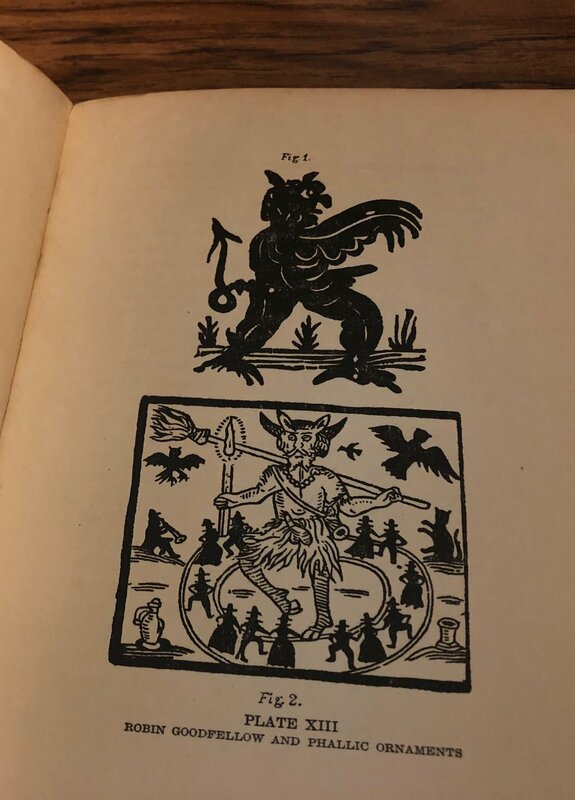 This was the first older book that I had attempted restoration on, so this part was a little nerve-racking. 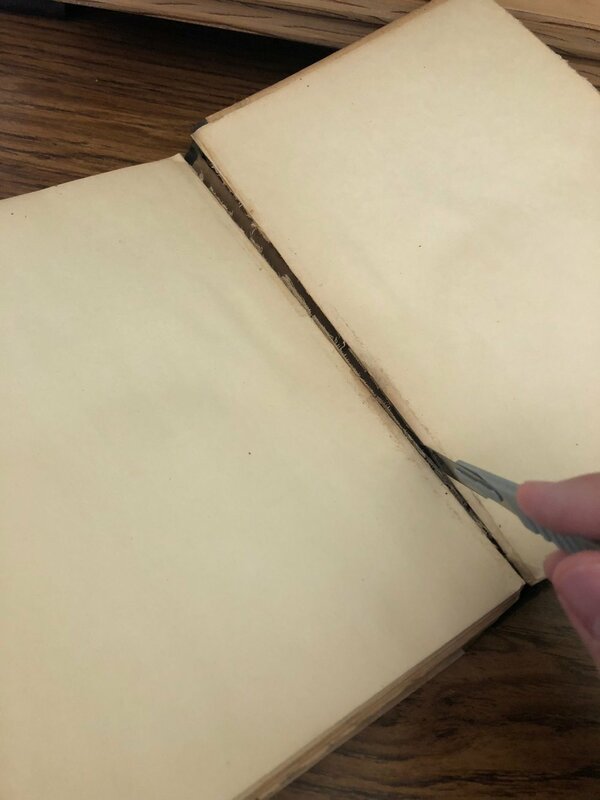 I took my time though, separating the binding with a scalpel, removing the thread with precision tweezers, and cleaning out the dust and junk with a brush. It all worked out, and the pages were ready for rebinding! Because I wanted the new finished product to have a more finished look, I decided to trim the edges of the text block (while still keeping the fore-edge rough). I took the opportunity to gauffer the edges, which is a look I just love no matter what, and one I think went perfectly with this book. I had just received some lovely vellum-colored leather, and felt that this would be a good option for covering this book, so I went with some lighter colors than I usually use on the endbands. I applied a blood-red label to the spine, which was a perfect contrast to the color of the book. For tooling, I went with a somewhat simple design, but the effect was striking in my opinion, and I think gave the book the appropriate age. I also did some experimenting with the spine tooling, and I was not disappointed with the result! In the end, this project was not only a joy to work on, but it was very educational, and advanced my bookbinding skills immensely. An already loved part of my library now is now even more treasured, and ready to live much longer.